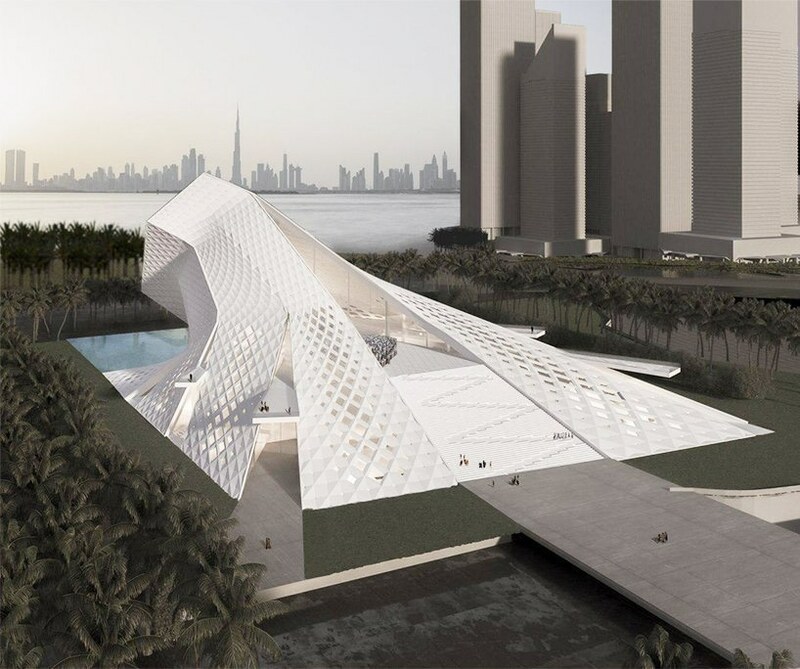 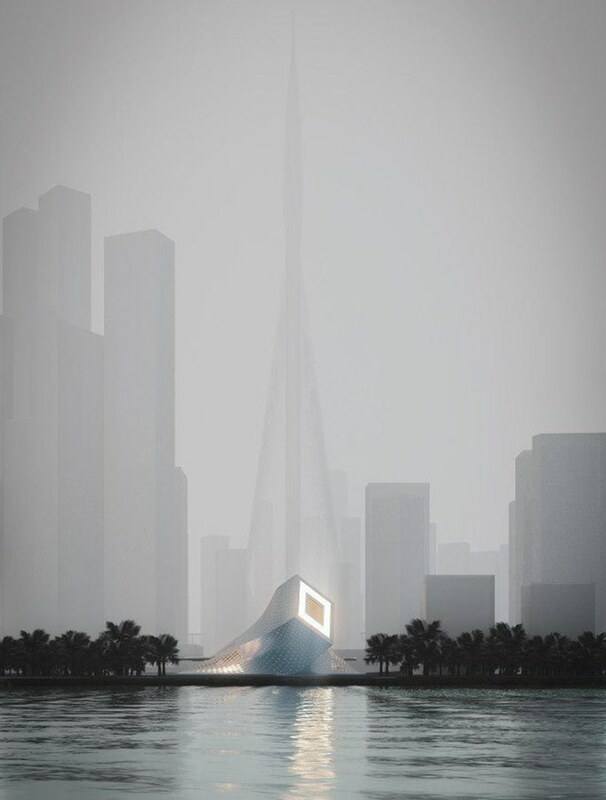 design studio QASTIC embraces the divine, sacred nature of light as a starting point for the spatial organization of the dubai creek harbor iconic mosque proposal. 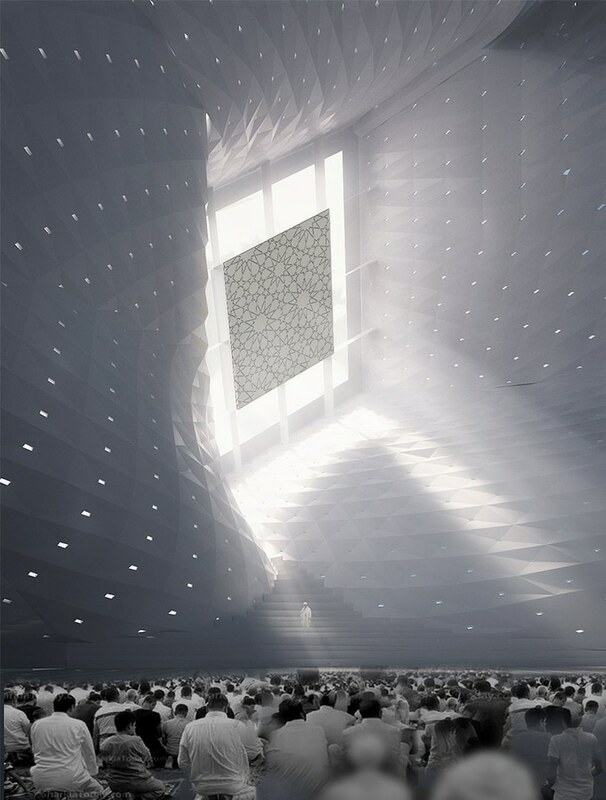 with its two main levels oriented southwest, towards the qiblah, the direction muslims face when praying, the geometric structure incorporates light and shadow as ‘players’ in the spiritual perception of space. 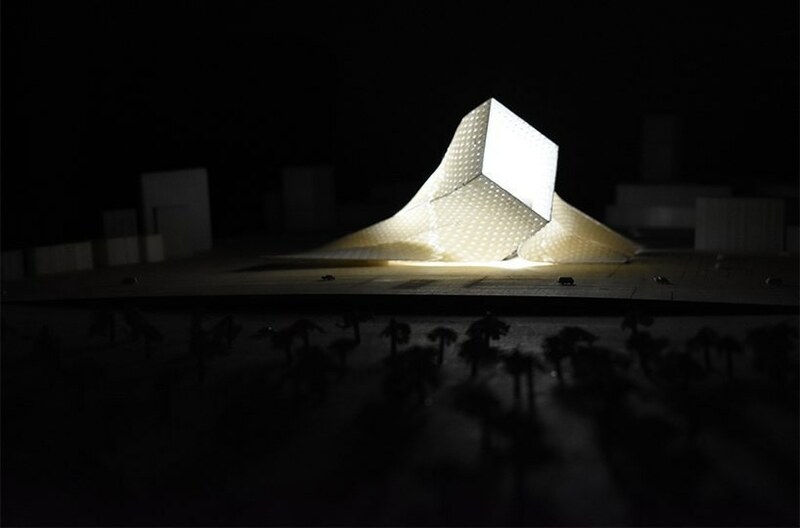 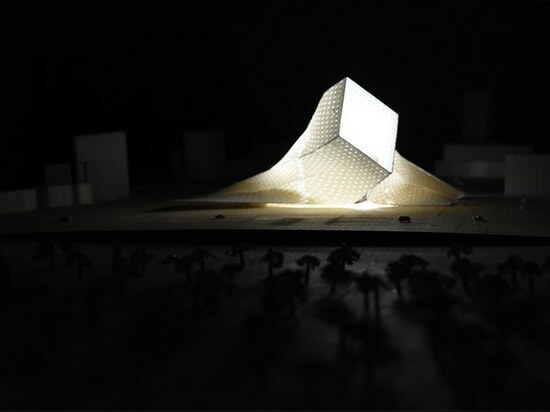 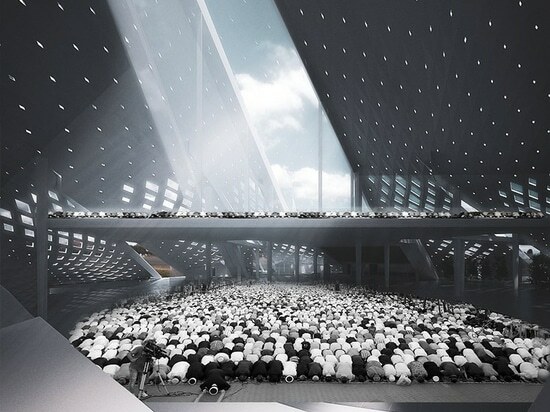 QASTIC‘s proposal aims at redefining the role of a contemporary religious building within its primary context. 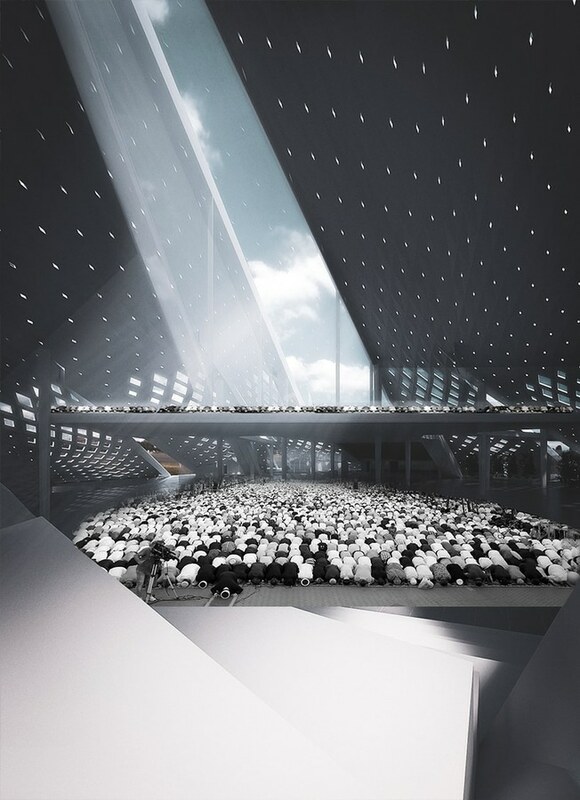 using southwestern light as its main spatial instrument, the building creates harmonious links between the two-level prayer area, the service area, the upper-level plaza and the buffer zones. 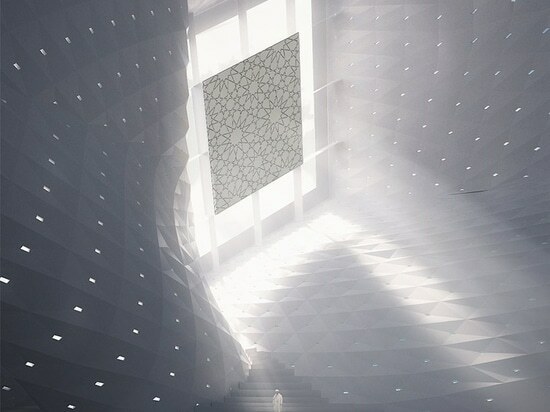 other functions in the mosque, including cultural spaces, service areas and restrooms are located along a central axis formed by the light and the orientation of qiblah, helping to smooth the transition and circulation of the 10,000 prayers in the two levels. 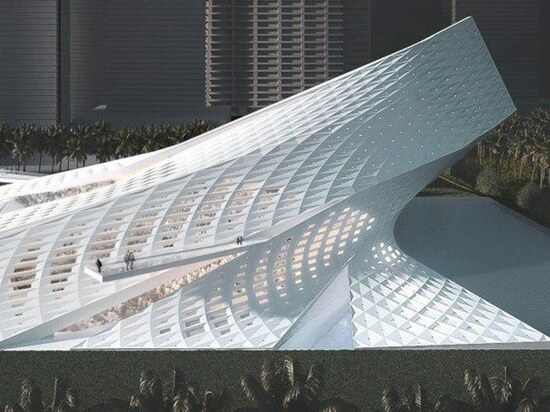 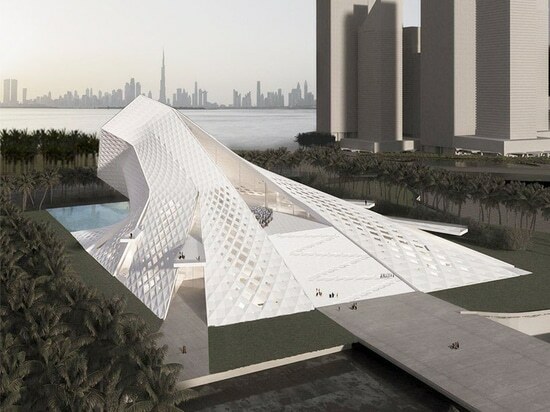 the architects propose a GFRC (glass fiber reinforced concrete) paneling system for the mosque’s skin, to be supported by the steel structure in harmony with the geometrical arrangements. 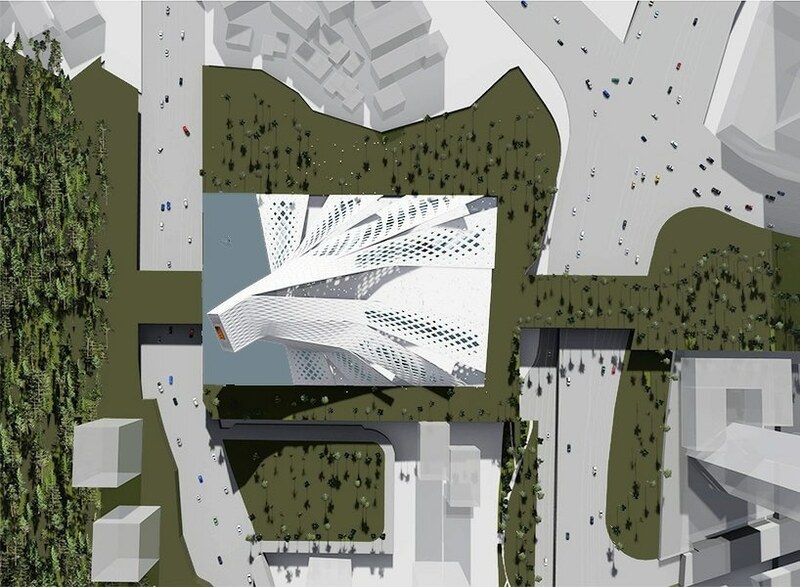 the urban plaza and buildings surrounding the structure provide an active urban life with diverse cultural and civic functions. 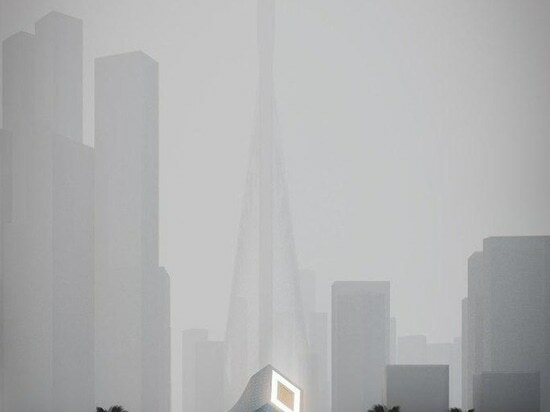 while the current master plan and skyline of the creek harbor puts emphasis on the verticality of the adjacent towers, the iconic mosque proudly ‘bows down’ towards the qiblah, suggesting an iconic building on the horizontal axis.